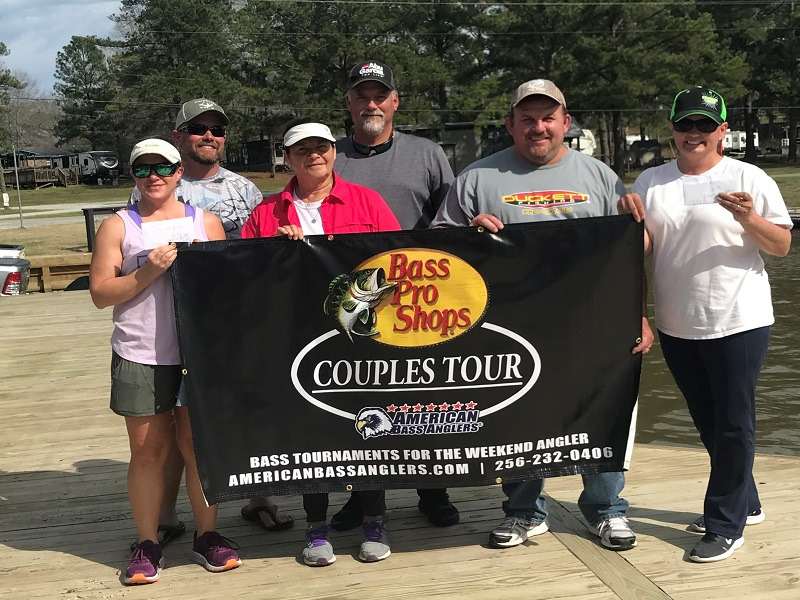 May 9th, 2018 kicked off the Annual American Bass Anglers Military Team Bass Tournament, it turned out to be a beautiful day on the water for our guys. 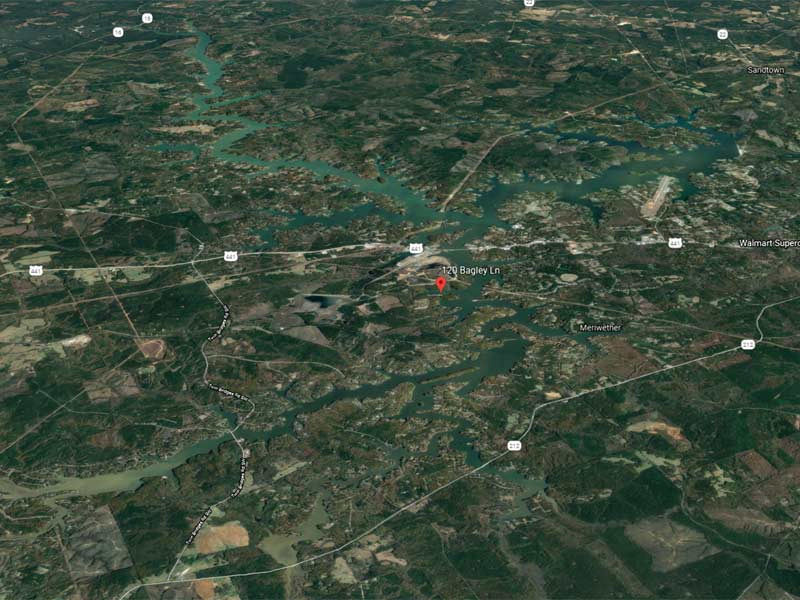 The field of 65 boats took off from Sanders Ferry Park near Hendersonville, TN in the search of some big fish to bring back to the scales. 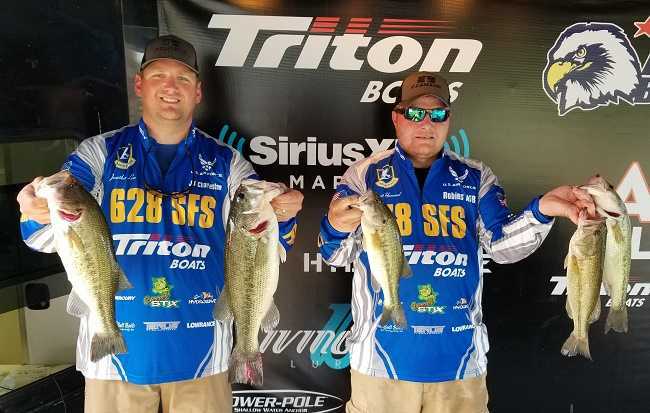 Last year’s winners Jonathan Lee and Travis Hummel brought in five fish weighing 14.36 pounds and they held the lead for most of the weigh- in. 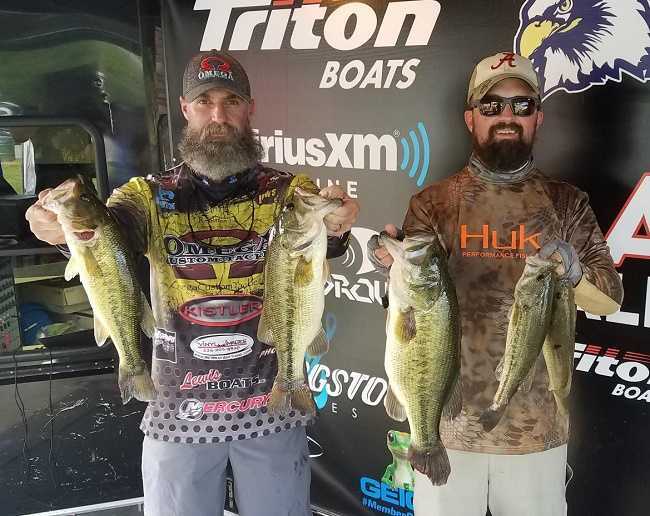 That is until the team of Brad Fuller and Aaron Commons came to the stage as one of the last teams to weigh in and dropped 17.54 pounds on the scales with a 6.35 kicker to take over the Day One lead. “We just flipped different baits in grass areas and was fortunate to catch the fish we did today,” stated Fuller. 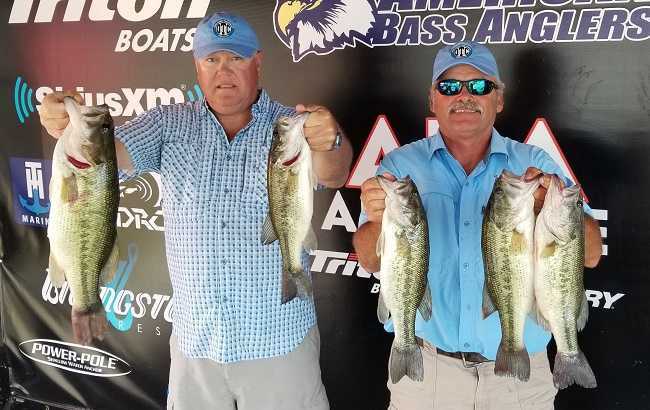 Sitting in 3rd is the team of Mitchell Oldnettle and Len Lindahl bringing in five fish weighing 14.07 pounds with a 5.14 kicker fish. Sitting in 4th is Mickey Beck and Pat Anderson with 13.95 pounds and rounding out 5th for the day is Jason Forsgren and Theo Corcoran with a total of 12.61 pounds.